Watch Andy Davis launch the TX56 at AEA Palm Springs. 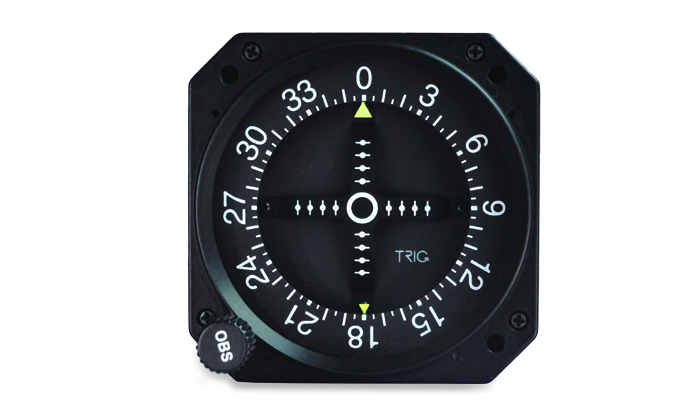 Trig’s new TI106 will be the ideal CDI to match your Trig Nav/Com. We are delighted to preview the new Nav/Com family of products – expected to be available July 2019. Trig’s TX56 and TX57 Nav/Com units provide the ideal platform to update legacy avionics or equip your new aircraft. Slimline and highly efficient both Nav/Com models are housed within a superbly engineered case. At only 33mm high each unit saves valuable space yet contains an impressive selection of practical features for any pilot. You might be a VFR pilot wanting VOR navigational back up, a flight school seeking an easy to use training platform or a serious VFR/IFR operator looking for reliable digital capabilities. Trig’s ‘better by design’ approach has created a Nav/Com that meets all these requirements – it will enhance your navigation and communication throughout all phases of flight. The TX56 family of products will be available with 8.33 kHz channel spacing or conventional 25 kHz spacing, with 10 Watt or 16 Watt transmit power. The TX56A and TX57A are 760 channel radio versions (non 8.33 kHz for use outside Europe). The Nav/Com display is clear and bright, showing both primary and secondary frequencies along with airfield / VOR identifiers. A ‘Push Step’ knob allows the fastest change from 8.33 kHz to 25 kHz (TX56/TX57) or 25 kHz to 50 kHz (TX56A/TX57A)- so you can tune the Nav/Com quickly without compromising your look-out. Dual Watch feature allows you to monitor two Com or Nav frequencies at the same time – it’s like having a second radio. The radio has a ‘Say Again’ feature. A single button press replays the last radio transmission. This feature is ideal for student pilots, but every pilot can get distracted, so it avoids the embarrassment of asking air traffic to repeat a message. The Nav receiver is optimised to provide stress free operation. Both the TX56 and TX57 will decode Morse, identifying VORs or ILS. The Nav receiver can monitor a second VOR which significantly enhances route navigation. This means that a standby VOR radial can be displayed in addition to the primary VOR – allowing the pilot to quickly calculate an accurate position fix. The unit display features a graphical CDI (course deviation indicator) This allows the pilot to navigate without an external CDI. The TX56 also provides support for various display options, using a range of external cockpit instruments. Once tuned the Nav receiver can identify the station by de-coding its Morse identifier, automatically identifying the selected VOR. Automatic centering of the CDI needle displays a direct bearing to a selected VOR for ease of navigation whilst the to/from button allows you to display the inbound or outbound radial. The Nav/Com’s low profile design requires no external cooling fans. The compact size and features make it a great choice for both forward and retro-fit installations. Each Nav/Com is designed to easily integrate with legacy products, these include the popular SL30 which is the same height as a TX56. Customers replacing legacy KX155 and KX165 models will easily accommodate a TX56 in their stack, in all cases a TX56 tray will need to be fitted. Is the Trig stack Nav/ Com a plug and play retro fit radio? The Trig stack Nav/Com is not a plug and play product. Whilst it is the same height as the SL40 it is not a drop in replacement unit. The product offer features such as, stereo intercom and support for stereo music. To exploit these features some re-wiring is required. However, the Nav/Com is shorter, lighter and comes with a Trig tray to make replacement of an existing radio as practical as possible. The installation manual provides wiring information on legacy Nav/Com to help configure the installation. How do I create my USB frequency database? Each Nav/Com is shipped with a Trig USB stick. 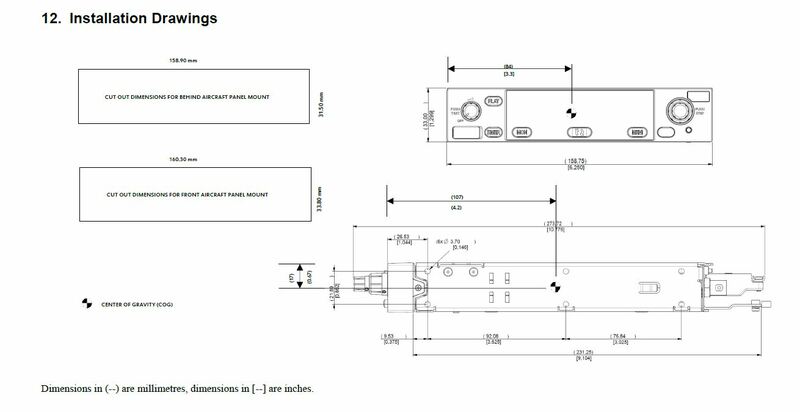 This contains full instructions for the product in the form of the User Manual and Installation Guide - TX56/56A /TX57/57A. The same Trig USB is used for uploading a frequency database, that you create. Each stick contains a sample database file. A PC or laptop is required with a USB port to configure and load the USB stick. Once the USB is plugged in, open the CSV file that is saved on the memory stick. This file can be opened with either a notepad or spread sheet application, such as Microsoft Excel. This file has a few sample frequencies already saved. Follow the same convention and add all radio channels that you would like. The Trig USB enables you to create a unique database for yourself. You can save up to 250 frequencies on your Trig stack radio. How do I load my database from my USB onto my Nav/Com? Once you are happy with your database, save this to your memory stick. To load or save this to your Nav/Com, you need to put the memory stick into your radio’s USB port when the unit is turned off. Only when the Nav/Com is then powered on, it detects the USB stick and will offer to save or load your database. If there are data entries already on your radio you will be offered the choice to replace the whole database, or add entries from the USB stick. Similarly, if there is already a database on the USB stick you can either overwrite it or add the radio data to the existing file. To return to normal Nav/Com operation, remove the USB device and switch the radio off and then turn it back on again. In normal Nav/Com operation, the USB port is powered off. Is there a Trig CDI?